As the state meet approaches there has been a lot of talk about girls breaking state records, but very few people know what the records are. Join the "Biased Kid" as he tells you the top contenders for each record, the state meet record, and if he thinks that record will go down. Carson's Thoughts: This record is safe. Wilson is the closest with an 11.59, but that wasn't a wind-legal time. Wilson has been running 11.9's since and hasn't hit near that 11.59 that she put up very early into the outdoor campaign at the Texas Relays. Carson's Thoughts: This record is safe. I expect 1 or 2 people to break 24 at the state championship and they will run a 23.90 at best. Carson's Thoughts: This record is safe. I think Cinnamon can go 53.75, but no one is coming near Alex The Great's sizzling mark. Carson's Thoughts: This record is not safe as there is the potential that Michelin and Marasco could go off and bust out a sub 2:08 as it will be their last high school 800m in Illinois. Carson's Thoughts: This record is not safe as Hart and Michelin are so close together that they could possibly push themselves to the 4:43 mark. Also, you have to think about Hart's NBIN national championship which proves that she shows up when the lights are bright. Carson's Thoughts: This record is not safe. We saw KK go 9:52 earlier this season with no competition and she may go sub 9:50 this weekend as she looks to reclaim her US#1 from New Yorker Katelyn Tuohy. Carson's Thoughts: This record is safe. Harper is by far the best hurdler in Illinois history. Carothers has hit 13.81 this season, but that won't be enough for her to beat that record. Carson's Thoughts: This record is safe. I would be shocked if anyone breaks 41.5 this weekend in Charleston. 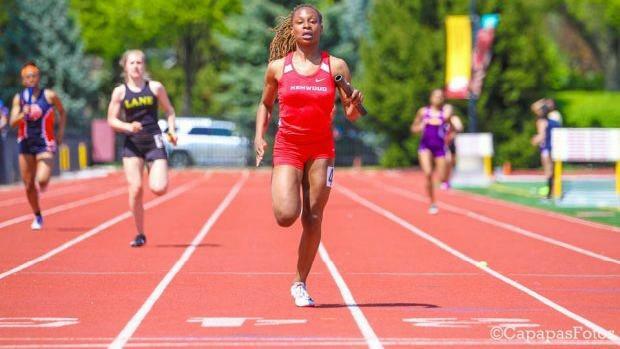 Too bad newcomer Jessica Franklin does not have another year- especially after dropping a 2:15 800m the other day at the Champaign News Gazette meet. It just shows that she has tremendous range. Carson's Thoughts: This record is safe. No team this year will break 47 so this record is fine. Carson's Thoughts: This record is safe. We still have yet to see a sub 1:40 this season, I mean no one is touching this record this year. Carson's Thoughts: This record is safe. No just no. Carson's Thoughts: This record is safe. Jalah Morris threw 150-7, but is still far off from the record. Carson's Thoughts: This record is safe. KD's record will be lasting for a very long time. Young was so dominant when she was in high school and no one may be able to touch her record. Carson's Thoughts: This record is not safe. Taylor has jumped 5-10 so far this year and has been looking to break 6-0 for a while now and may be able to do it this season. Carson's Thoughts: This record is not safe. 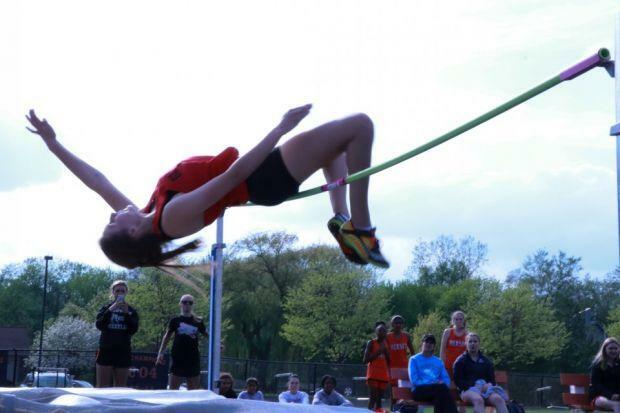 Furbeck did something almost unthinkable when she leaped IL#2 all-time 20-7 regardless of conditions at the Plano Sectional I honestly think that we will see the first 21 foot jump in state meet history this weekend. Carson's Thoughts: This record is not safe. Imani claimed to barely scratch on a 43+ jump earlier this year. If that is true and she can do it again, we may see this 1-year-old state record go down. Carson's Thoughts: This record is safe. I don't think anyone will be breaking 13-feet this year.